This year’s Cisco Live! is delivering education and inspiration for technology innovators worldwide. The event, taking place July 10-14 in Las Vegas, brings together industry leaders to share their expertise and ingenuity through sessions, speakers, networking and the exhibit hall. Attendees will have the opportunity to learn from this year’s speakers, including Cisco CEO Chuck Robbins, futurist Jason Silva and Frank Underwood himself, Kevin Spacey, who is the special guest keynote. Educational sessions offer something for everyone regardless of their background or interest area. Certifications, labs, and seminars offer plenty of opportunities to learn from the best and take home new ideas to implement in your business. Beyond the sessions and speaker, don’t miss the chance to mingle with other Cisco users through a multitude of networking events. Connect with attendees before the show by tweeting using #CLUS. Cisco is running a number of social media contests you can take advantage of to win great prizes. Nightly receptions give you the opportunity to kick back and relax with other attendees and share the cools ways you are using Cisco solutions. And if all else fails, you can always make new friends over a shared love of this year’s customer appreciation performers, Maroon 5 and Elle King. 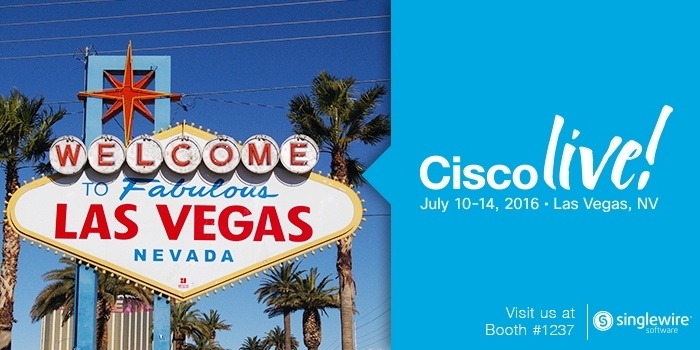 During Cisco Live, Singlewire will be sharing the latest innovations for mass notifications. We’ve updated our paging gateway and added new features to our mobile text alerts, including geolocation and instant conference calling. These features add to InformaCast’s established ability to reach everyone during an emergency via phone, text, and email. Whether it’s a building lockdown, severe weather or another emergency, InformaCast delivers your message to key personnel to manage the situation. Visit Singlewire during Cisco Live at booth 1237 to learn more about using Cisco phones and InformaCast for emergency notifications.